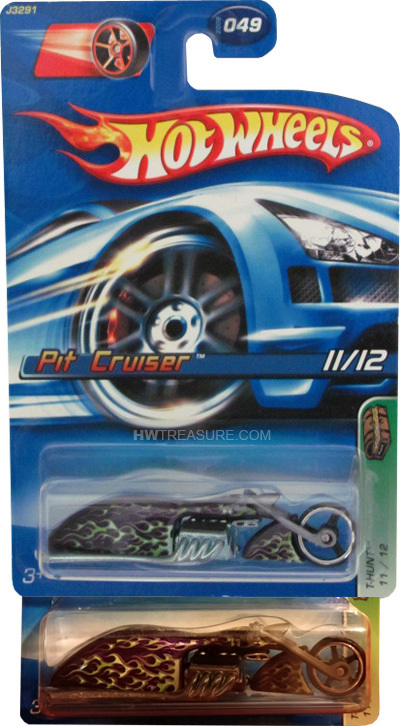 11/12 from the 2006 Treasure Hunt series. The motorcycle has purple metalflake paint embellished with green and white flames. It has grey handlebars and fork with an unpainted metal Malaysia base. 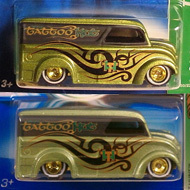 There are two versions of the Pit Cruiser. One has MC3 wheels and the rare variation has MC5 wheels. 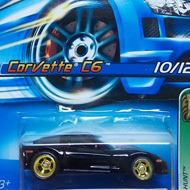 It made its debut in the 2004 Hot Wheels Racing Nascar series as Mark Martin’s Batman Pit Cruiser.